This property is part of the Badalona Canal. 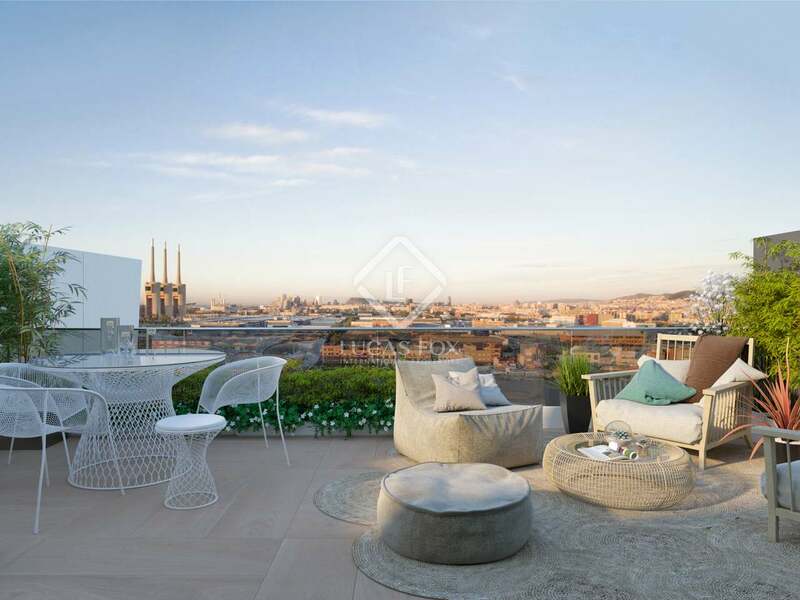 Finest quality 2-4 bedroom properties with terraces for sale in an exclusive new development with a garden, 2 swimming pools and a garage in front of Badalona's new canal. 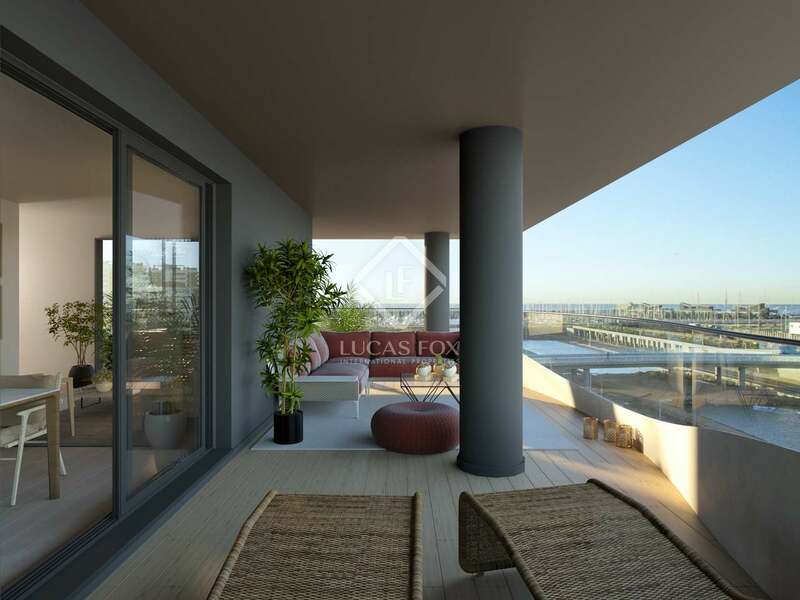 Magnificent new build home with views of the sea and the city in a new development with a garden, solarium and pool in Badalona. 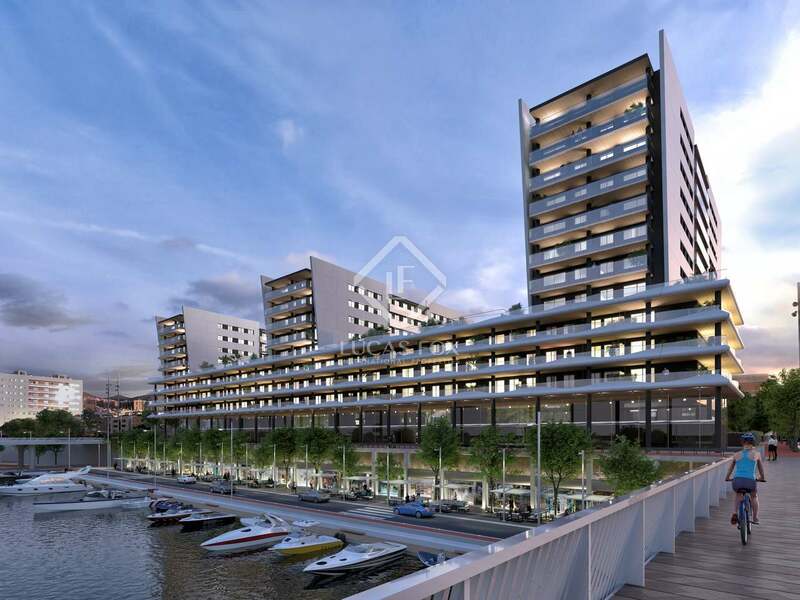 Badalona Canal, an exclusive new build development, is offering this wonderful modern 3-bedroom apartment, designed by leading architects with high quality materials and finishes. 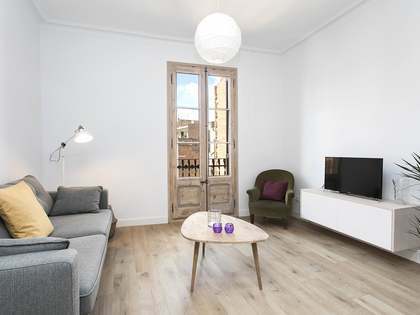 A home created to meet all your needs located in front of the new canal of the Port of Badalona, just 10 minutes by car from the centre of Barcelona. The development includes parking spaces, storage rooms and magnificent communal areas, with beautiful garden areas, a large swimming pool with solarium a and a children's play area. This apartment benefits from a very functional layout. On entering, we find the living area situated immediately to the left, which consists of a spacious living-dining room and an open kitchen. 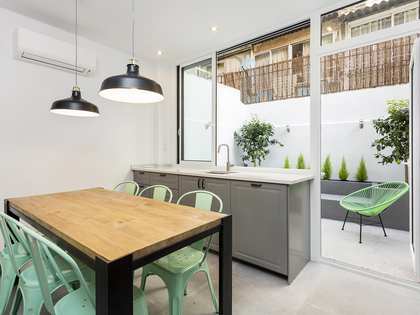 The kitchen has excellent finishes: Silestone countertop and is equipped with oven, microwave, "touch control" ceramic hob, extractor fan, a fitted dishwasher and a large fridge. This space has access to a small but comfortable balcony, which floods the room with natural light and offers incredible views of the sea and the city. The night area has 1 double bedroom and 2 single bedrooms, the main one with a practical dressing area and a private bathroom, and one of the singles, with access to the balcony. A bathroom that serves the rest of the rooms completes the layout. The bathrooms have Hansgrohe taps and Porcelanosa ceramic tiles, with the possibility of choosing between different options. 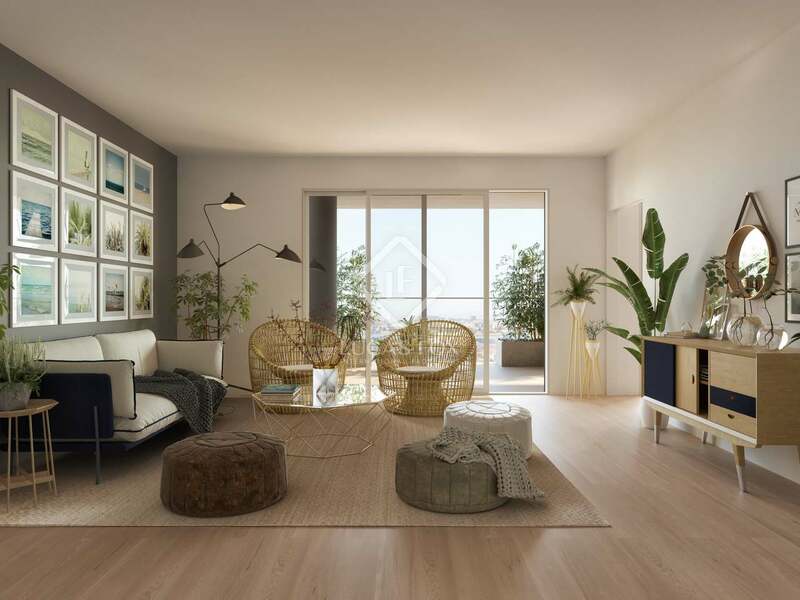 The apartment includes other finishes such as underfloor heating, air conditioning system with heat pump and an individual mechanical ventilation system with adjustable hygro-aerators. It is even equipped with a home automation system with touch screen and management via application, which controls the switching off and on of the LED lights, the motorised blinds and that can be configured according to the needs of the new owner. 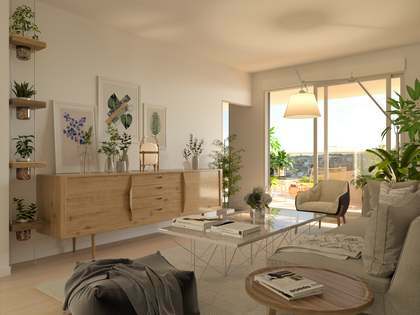 A unique opportunity to acquire the home of your dreams in a new build development in front of the Port of Badalona. This excellent new building promotion is located in Badalona, one of Catalonia's most up-and-coming towns. This town is very well connected to Barcelona, both by car and train whilst at the same time enjoys the tranquility offered by a smaller city with all services and amenities. Badalona is home to the Gorg Canal, a marina and 5 kilometres of coastline with beautiful beaches, ideal to enjoy the charm of the Mediterranean.